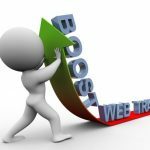 While knowledge of online technology and marketing is very helpful, you don’t have to be an expert to understand website traffic tips that work. You can learn as you go. Implementing what you learn, as you learn it, can make a real difference to your bottom line. Consider beginning with Search Engine Optimization (SEO). It’s not as scary as it sounds. In fact, it’s one of the easiest technology/marketing strategies to learn and implement. With a little knowledge about how to use keywords and a keyword research tool, you can get started right away. Just place the keywords in prominent places such as in your headlines, links, categories, descriptions, etc., in order to encourage your viewers to click, read more, and take action. Guest post – Offer to make guest posts on related sites. The more visible you make yourself, the more targeted traffic you will receive. Make certain to guest post on a site that is relevant to your topic. This is a recent guest post from my colleague Adrienne Dupree. Participate on topic related sites – Make time to interact on similar sites and in groups that discuss topics such as the ones covered on your website. Your visibility and consistently knowledgeable contributions can create curiosity about your website and encourage others to visit. Make sure you add a link to your site in your profile or the website area, when possible. 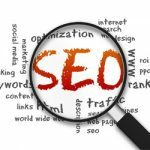 As search engines index these other sites, you may find that your site moves up on search result pages and you get more traffic. Keep writing fresh, new content – Don’t write a few blog posts or articles and stop. Your readers and search engines are hungry for your information. Add new content on a regular basis to keep them both happy and returning to your website. Remember infographics, blog posts, articles, pictures, audios, and videos are types of content, too. Tweet often and much – Every time you run a new contest, add a new blog post, post a new video or picture, tweet about it. Collect and review traffic data – Learn how to collect and use traffic data to analyze your web traffic, marketing endeavors, and advertising campaigns. Keeping track of where your traffic comes from, what actions visitors take, and where they go, enables you to identify what works, what doesn’t work, and what you can do to draw more targeted traffic to your website. 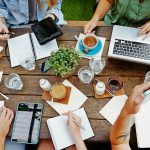 Market and network connections new and old – “Make new friends but keep the old. One is silver and the other gold.” Keeping up with your market and network connections can give you an edge, especially when it comes to traffic. Keep in touch with your existing connections but remember to make and build relationships with new people in your industry. Both new and old connections can be an advantage to your business and send targeted traffic to your website. Make an infographic – People love visuals and a picture really is worth a thousand words. Using infographics is a great way to explain complex or confusing concepts to your readers. Readers also tend to share these helpful infographics, which drives more traffic to your site. Are you rnjoying these website traffic tips so far? Quote yourself on memes – Add one of your own quotes to a post-related image. 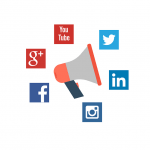 Share the image on social media sites with a link back to that post or to a related category. This helps to drive traffic to a targeted area of your site while helping to elevate your authority level. Use your elevator speech – If you want to draw more traffic, craft and practice your ever-ready elevator speech. The elevator speech lets your prospects know what you do, why you do it, and most importantly, how this could benefit them. Snippets can also be used in various places on your website as part of the descriptions. Add videos to your site – Include multiple types of content in each website post. Use your own videos when possible. You may also want to use YouTube or social media videos that have gone viral. Using multiple types of content encourages a greater range of search engine results and greater traffic. 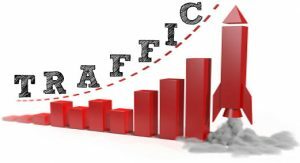 These website traffic tips work quite effectively, no matter which niche or filed you are working in online or offline. 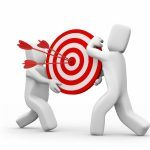 Take a look at even more targeted traffic tips in this earlier post. Excellent suggestions! Specially loved that idea of guest posts, makes complete sense, if we could get our blog posted on one of the high traffic websites then it will definitely lead to better visibility and traffic. Ron Pickle on Learn How to Say No!